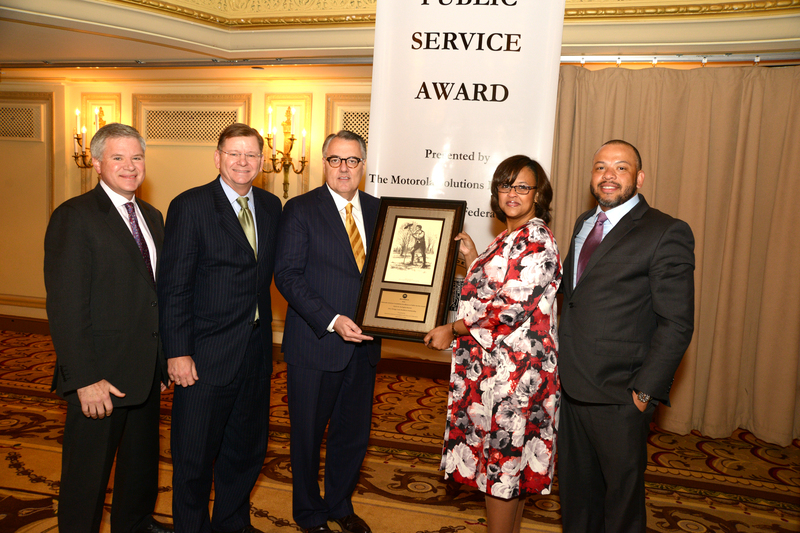 On December 8, 2016, the Motorola Solutions Foundation and the Civic Federation honored the outstanding public service of Karin M. Norington-Reaves, CEO of the Chicago Cook Workforce Partnership. 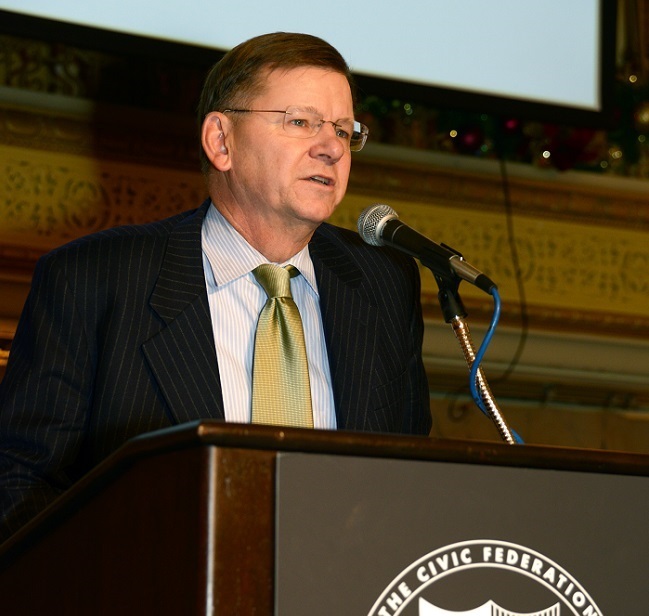 The annual Motorola Solutions Foundation Excellence in Public Service Award recognizes a non-elected government official who has had an extraordinary impact on the quality of state and local government services in Illinois. 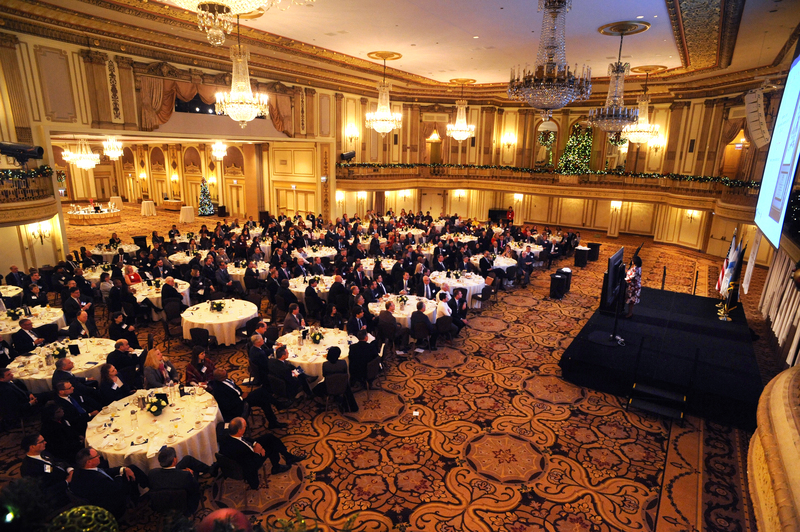 Business, civic and government leaders from across the State of Illinois and Chicago region attended the awards breakfast at the Palmer House Hilton Grand Ballroom to recognize Ms. Norington-Reaves’ outstanding public service accomplishments. 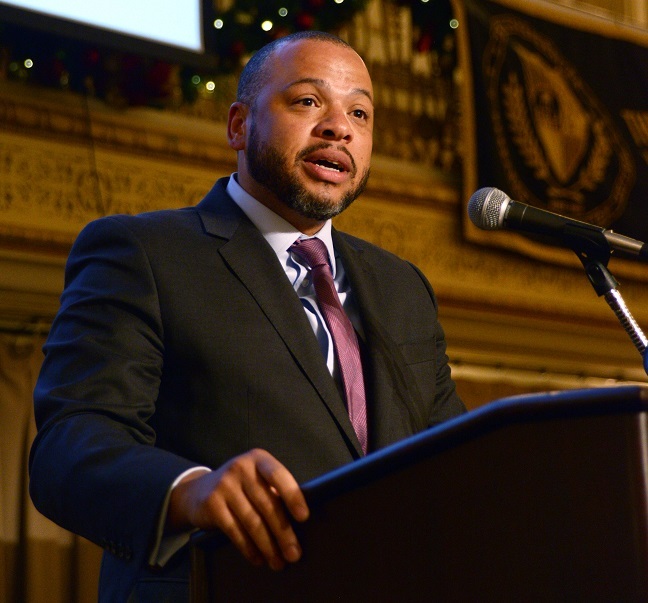 Following brief remarks from Civic Federation President Laurence Msall and Chairman Kent Swanson, Chicago City Treasurer Kurt Summers gave the salutation address highlighting the importance of public service and recognizing Ms. Norington-Reaves’ achievements at the state and local level. 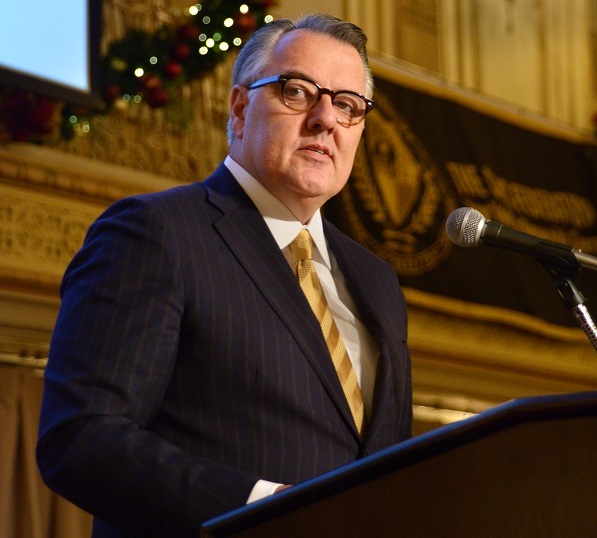 Greg Brown, Chairman and Chief Executive Officer of Motorola Solutions, introduced Ms. Norington-Reaves and presented the award. The presentation included a video tribute from state and local government officials along with civic and business leaders. Civic Federation of Chicago : Karin M. Norington-Reaves - 2016 “Excellence in Public Service Award” Recipient from Bitter Jester Creative on Vimeo. 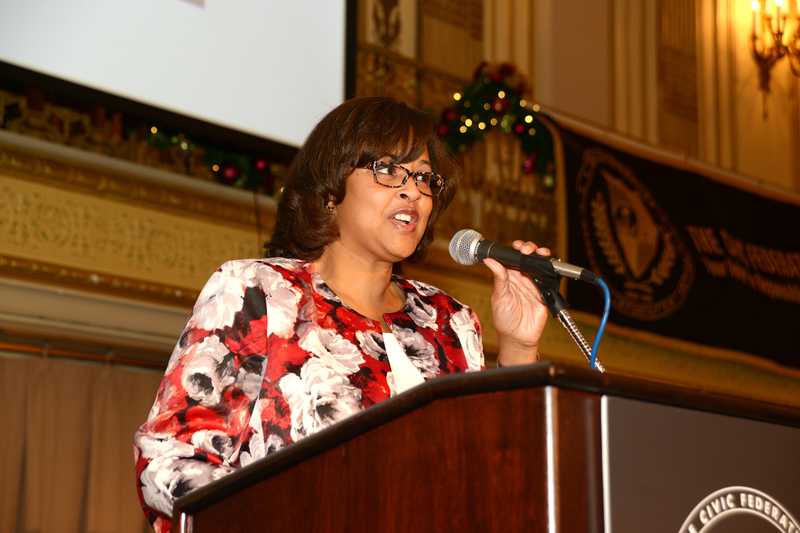 In her acceptance speech, Ms. Norington-Reaves spoke about her experience overseeing the merger of three disparate Cook County workforce boards to create the Chicago Cook Workforce Partnership. She further discussed how she became interested in civic engagement at a young age, having watched her mother volunteer with programs across Chicago and host discussions with local aldermen. In closing, she emphasized that receiving recognition is not what should drive a person to public service but rather using his or her talents to make a contribution to the world. The 2016 Excellence in Public Service Award was an original print by artist Ned Ostendorf that depicts a 25-year-old Abraham Lincoln serving as deputy surveyor of Sangamon County, Illinois. Chicago City Treasurer Kurt Summers giving the salutation address. 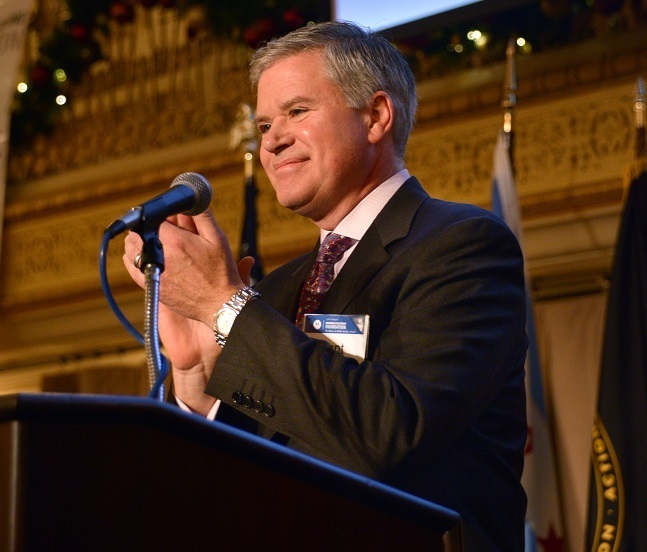 Motorola Solutions Chairman and CEO Greg Brown introducing honoree Karin M. Norington-Reaves. From left to right: Civic Federation Board of Directors Chairman Kent Swanson, Civic Federation President Laurence Msall, Motorola Solutions Chairman and CEO Greg Brown, Karin M. Norington-Reaves, Chicago City Treasurer Kurt Summers.